Very nice apartment that was maintained each day. Good kitchen and bedrooms. Front desk staff was always very helpful. Clean, comfortable, best value for the money in lionshead. Dated unit, wouldn't be super comfortable if at capacity with adults. Great location. No conditioner at all and not enough shampoo or soap. Humidifiers aren't in each room closet like all other properties.. You must request before check-in and they only have a few. The property is walking distance to everything and offers covered parking. On site parking, quiet, good location to shops and bus. Really well equipped, comfortable, clean and serviced. Was about the same as most 2bed 2 bath I have stayed at comfortable enough. Front desk guys were very helpful and friendly. Just being in Vail with sunny skies was great. Loved the location, short walk to the ski lifts and gondola. Our unit was very well maintained, clean and organized. Super impressed with the kitchen where everything was in order. 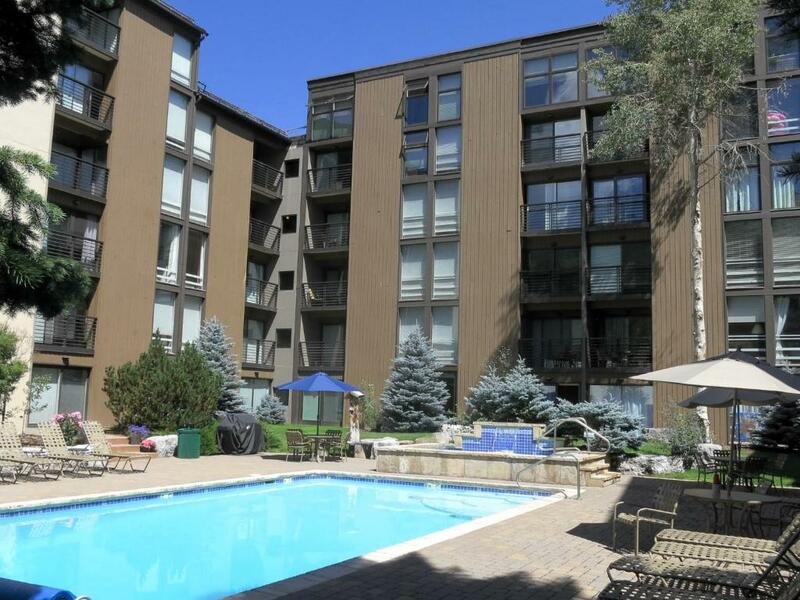 Lock in a great price for Vail International Condominiums – rated 8.9 by recent guests! Vail International Condominiums This rating is a reflection of how the property compares to the industry standard when it comes to price, facilities and services available. It's based on a self-evaluation by the property. Use this rating to help choose your stay! 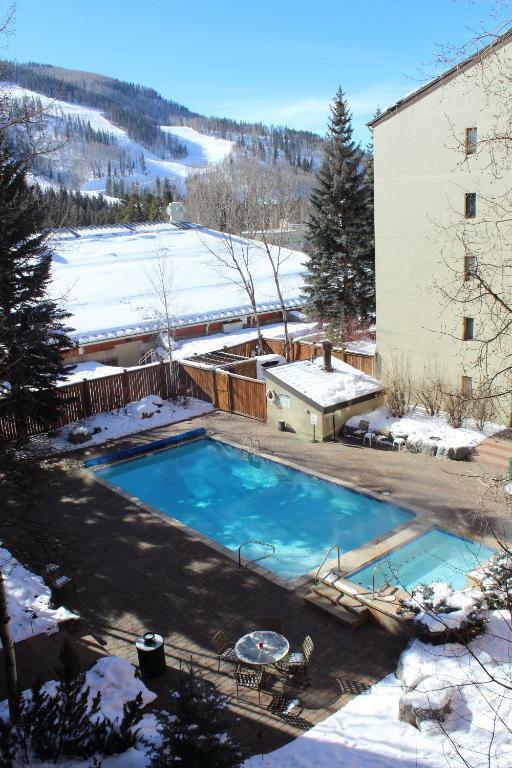 One of our top picks in Vail.Located 7 minutes’ walk from skiing at Vail Ski Resorts, this Vail, Colorado accommodations offers an outdoor swimming pool. 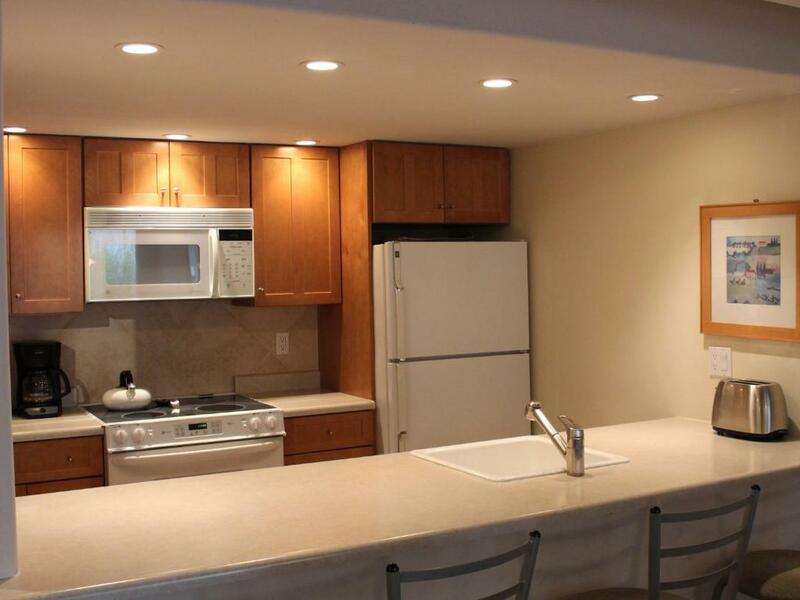 A fireplace and full kitchen are provided in each apartment. Featuring a fully equipped kitchen with granite counters, each 2-bedroom apartment provides a fireplace, a seating area and at least 2 private bathrooms. Each apartment is uniquely decorated with contemporary furnishings at Vail International Condominiums. After a day of activity, guests can enjoy a hot tub, a steam bath and a fitness center at Condominiums Vail International. 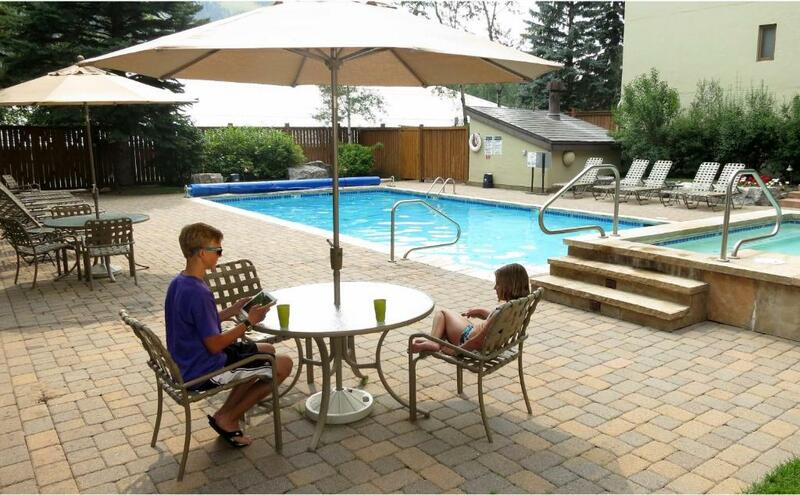 Laundry facilities is provided and free guest parking is available. Vail Valley Medical Center and Steadman Clinic are adjacent to Vail International Condominiums. Eagle County Regional Airport is 40 minutes' drive from the apartments. 뀐 Located in the real heart of Vail, this property has an excellent location score of 8.9! When would you like to stay at Vail International Condominiums? Featuring a full kitchen, this two-bedroom apartment provides a fireplace, a sitting area, 2 private bathrooms and free covered parking. We have a long time staff that keeps our property clean and running smoothly. We offer free parking (one car per unit), which in the winter, seems to be a rarity in Vail. 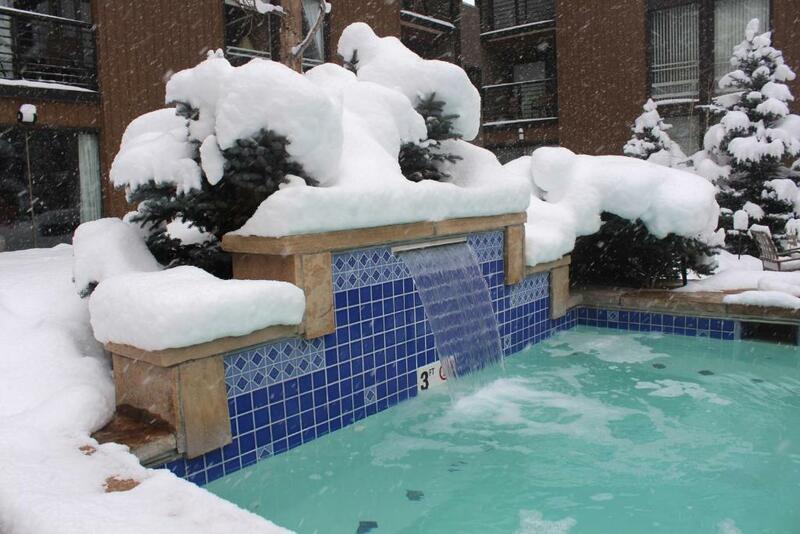 Our outdoor pool and hot tub face Vail Mountain, which provides a great way to relax after a day on the slopes. I've been managing the property since it opened in 1975. I've overseen all aspects of several remodels, including a new pool and hot tub and most recently, new metal railings on the exterior of the building. I like to ski on Vail Mountain several times each week during the winter, enjoy hiking in the summer and still try and play ice hockey as much as I can. 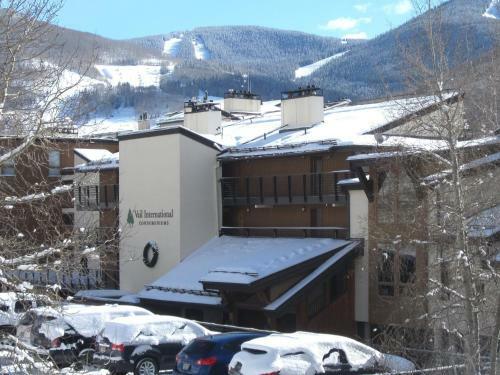 Vail International is a 5 - 7 minute walk to the lifts at the base of Lionshead and we are adjacent to the Dobson Ice Arena, which hosts many sports tournaments throughout the year. The Vail Valley Medical Center is just a 2 minute walk from the property, and in another 5 minutes, you're in Vail Village. 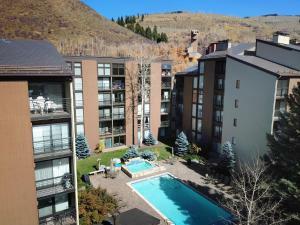 House Rules Vail International Condominiums takes special requests – add in the next step! All children under 4 years are charged USD 5 per night in a crib. Vail International Condominiums accepts these cards and reserves the right to temporarily hold an amount prior to arrival. Please note reception is open from 08:00 to 20:00. 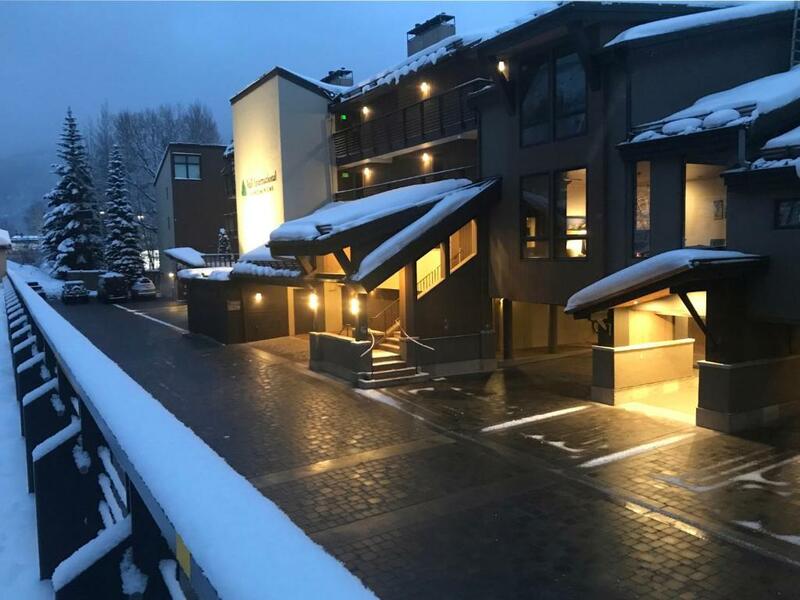 If you expect to arrive outside reception opening hours, please inform [Vail International Condominiums by calling 970-476-5200 at least 24 hours in advance. While close to the lifts, you still had to take a bus for one stop. Had to pay for arrangements to leave skis and boots at a ski ship that was close to the lifts to avoid dragging them to the bus every day. The property itself was very nice. No staff to assist you. Great location. Condo was clean and modern. The circuit breaker popped with the use of the hair dryer and the elevators were out making the use of the stairs required. They were a little hard to find. Cleaning staff were untrained kids that really didn’t clean. The wifi is horrible. It doesn't matter which one you connect to, they are all bad. The light level in the rooms was a bit dark as there are no overhead lights, only lamps. The walls were very thin so you could easily hear what was going on next door, and the wifi was very slow, almost to the point of being unusable. The apartment was comfortable and clean, and it was easily warm enough, especially with the log fire. The kitchen was functional and well equipped. Bathrooms were also very clean. There was also a nice view of the slopes, with only a short walk into Lionshead.